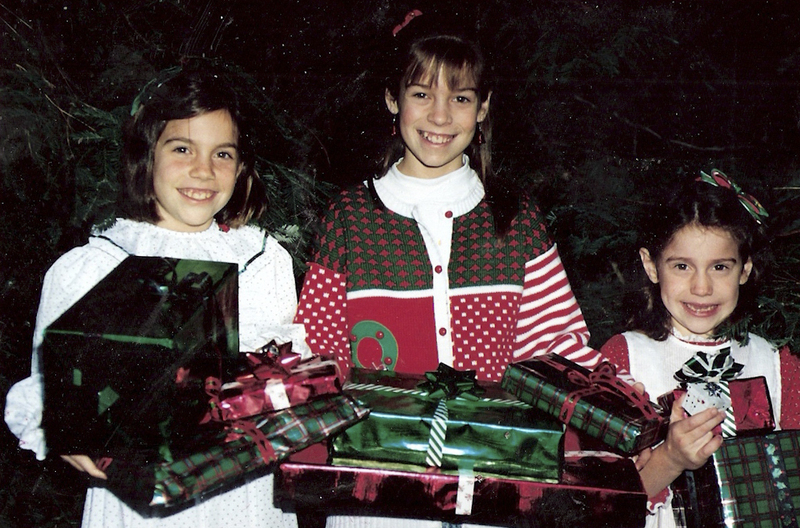 Growing up, my family didn’t have many mandatory traditions – but there was one that we daughters knew we couldn’t mess with – our Annual Christmas Card tradition. 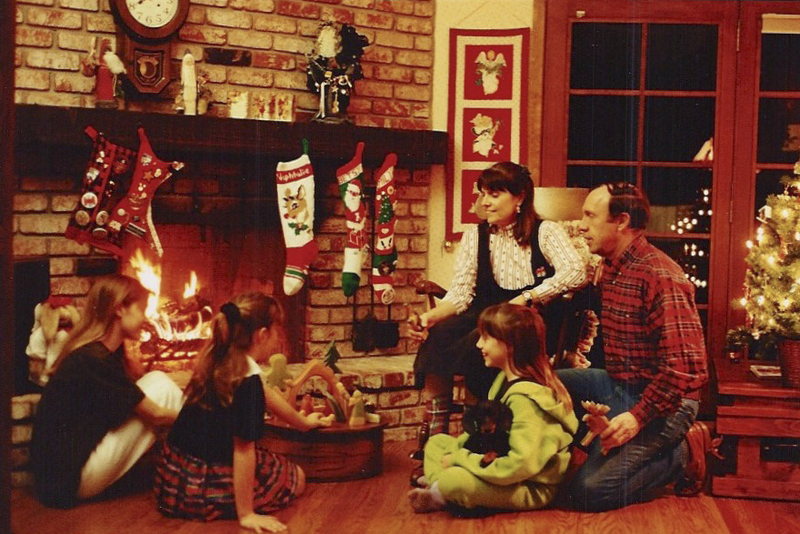 Pre-children, my parents birthed the tradition of creating their own unique hand-made Christmas cards complete with a family photo and a Christian message. Without question my two older sisters and I were destined to participate in this process. The truth be told we kids dreaded the inevitable, annual creation of the card. Many of our worst fights took place while standing together posing for the prize photo. But the tradition must go on no matter how bad the fights. Papa worked without complaining – engineering unending photo-shoots followed by numerous trips back and forth to the photo processing shop until presto! we got the one and only photo that we could all agree on (It was always a miracle when we did all agree!!). After that, it was on to the card making part of the process. Mom would calligraphy the message; then came the copying, cutting, folding, addressing, licking, and stamping for 200 recipients. 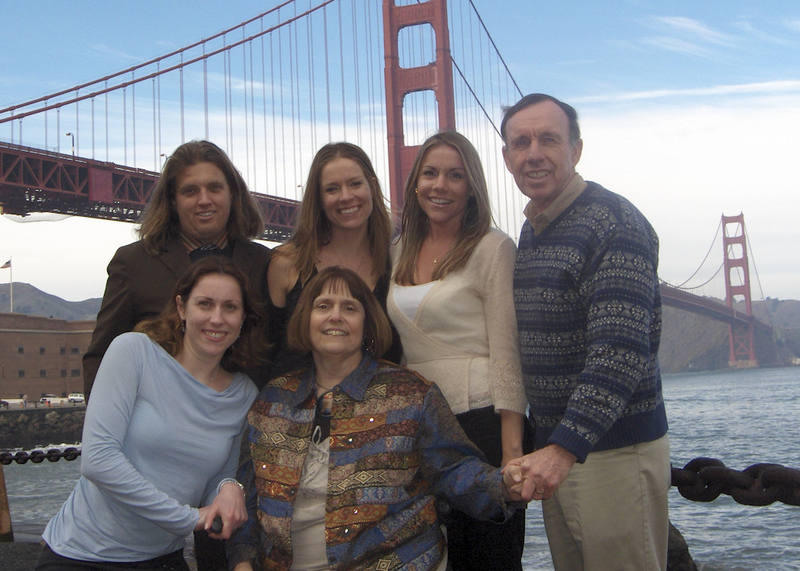 It was no simple task and the only reason we did it year after year was because of my sweet parents’ persistence. Today I can say that I am so thankful my parents pushed to keep this tradition alive. 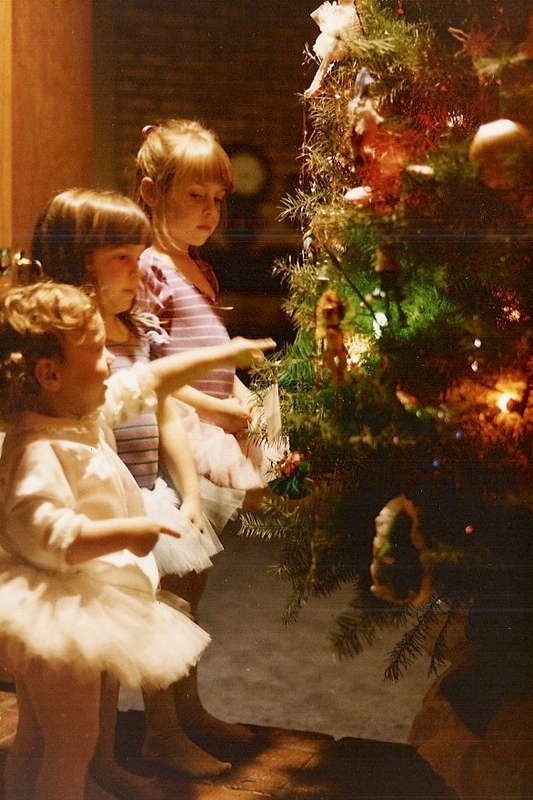 Because of their dedication, we daughters have our whole lives chronicled through Christmas Cards. We can look back and see how we have grown up over the years; we are reminded which pets were with us and then later which men joined the family to become our husbands. I rejoice at having our family’s collection of three decades of Christmas cards but now know that designing and sending out my own cards is equally gratifying. 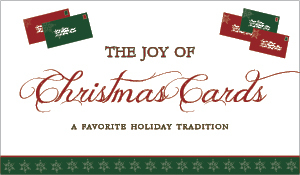 In the midst of the crazy holiday season, cards are an inexpensive way to reach out and keep in touch with friends and family across the miles. What a great way to update others on the big events of our lives. It is no wonder that the three Squier daughters now carry on the photo tradition with our own families. Christmas doesn’t feel like Christmas without home-designed cards. Now as an adult, the process seems so much easier! Digital cameras allow you to pick your favorite photos almost immediately, computers provide an infinite number of design choices, and then there’s Costco which offers 12 cents per print photos within an hour. We are without excuse for keeping this Squier Family Christmas Card tradition alive. Let me end on an encouraging note for any who want to give this tradition a try. The joy makes all effort worthwhile. 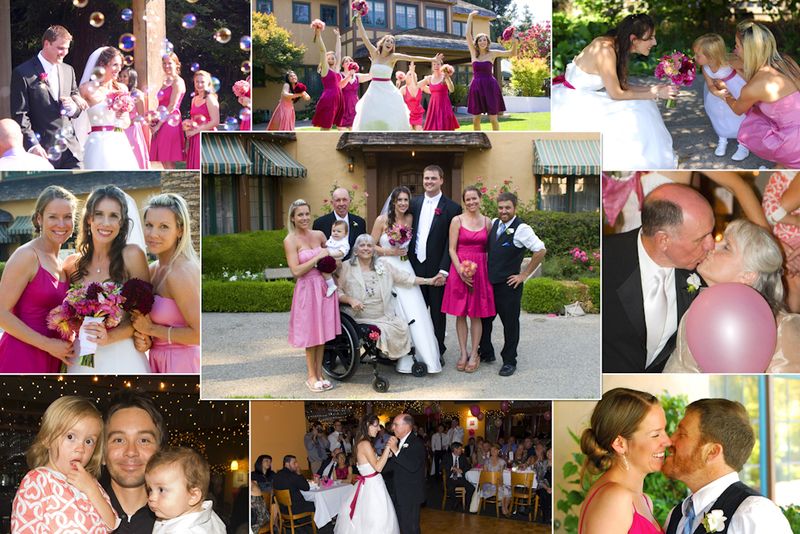 The photos chronicling your family will prove invaluable. Numerous companies are available for the designing and printing. And I’m available to answer any questions about the process. If you need help designing something special at Christmas or any other time of the year, please let me know. I would love to help! It’s never too late to start this tradition and once you start you’ll never want to do Christmas without it. 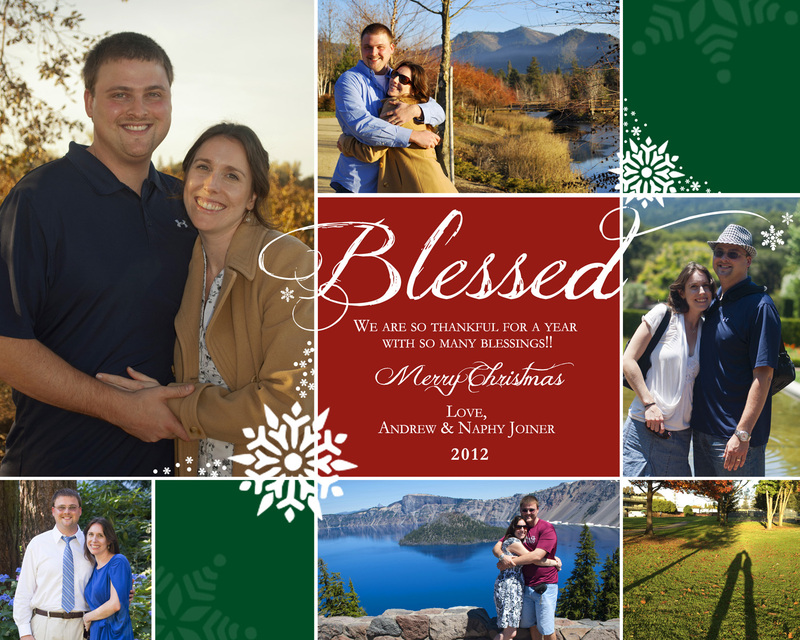 Speaking of Christmas Cards – This was the first year Andrew and I would have a home of our own. It caught me off guard. I realized we had absolutely no Christmas decorations. 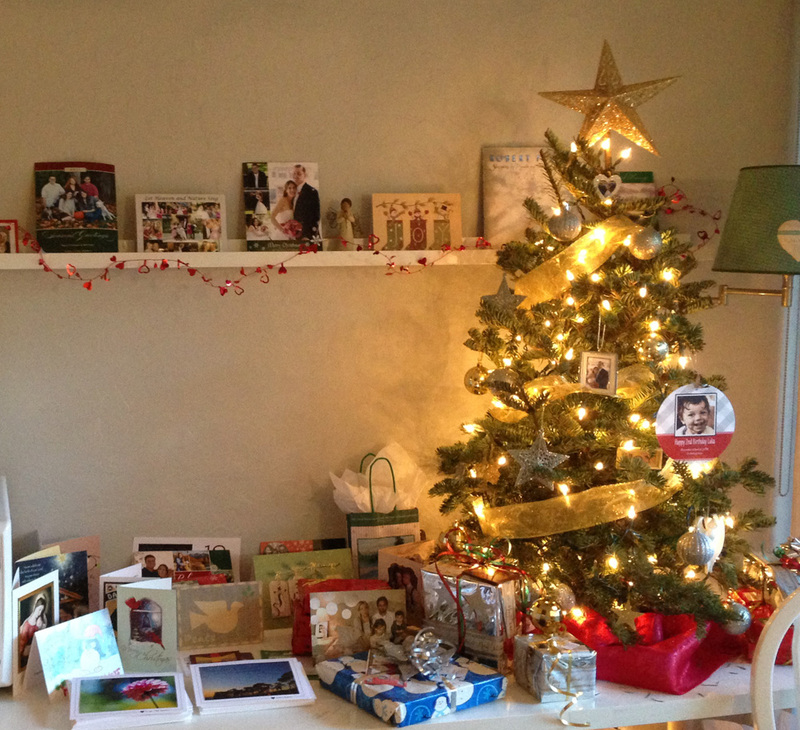 A little sad at first, I then remembered the past years of Christmas cards, which I found and placed around our little 3 foot live tree. Amazing how cards can connect us with those we love. And come to find out receiving, opening, and then displaying Christmas cards is an important part of my Christmas tradition. 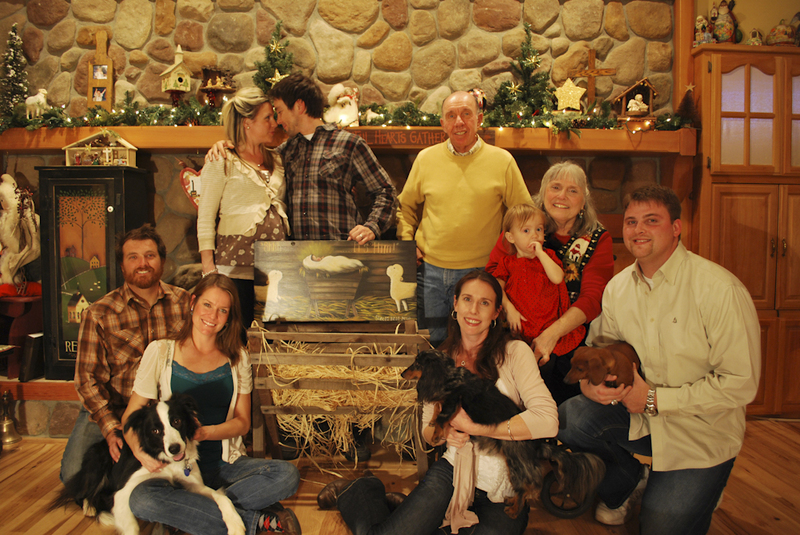 I hope this blog post might inspire you to jump in and try out the tradition of Christmas Card photos too!